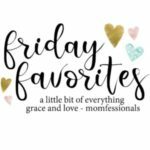 It’s Friday…and my kids are home from school! I feel like we always get Mondays off and not Fridays, and I MUCH prefer a Friday, so I’m excited about today. We are going to see the new Dumbo movie today, so I’ll keep you posted on what we think. That is not my favorite Disney movie (anyone else?! ), but it’s been one of Kensington’s since she was itty bitty. Speaking of which, what is your favorite Disney animated movie? I always say Tangled because I love the music so much…but the music in Beauty and the Beast is good too. For some random reason, I want to know yours. Do tell 🙂 . 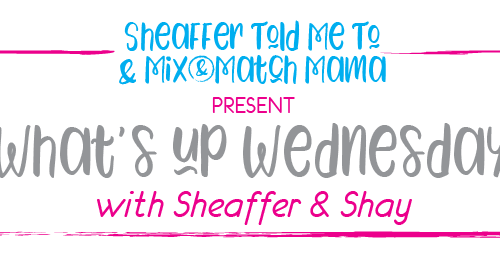 I’m linking up with my girls Erika, Narci and Andrea and showing you my favorite things. Happy weekend, friends! …it’s BEAUTIFUL!! My friend, neighbor, school mom, Lauren just set out one day to create a magazine about our city and this is the first published issue (she’s had online issues for about a year or so now). When this one hit my mailbox, I was floored! 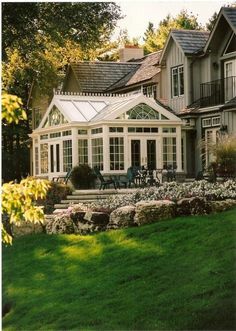 It’s absolutely stunning! 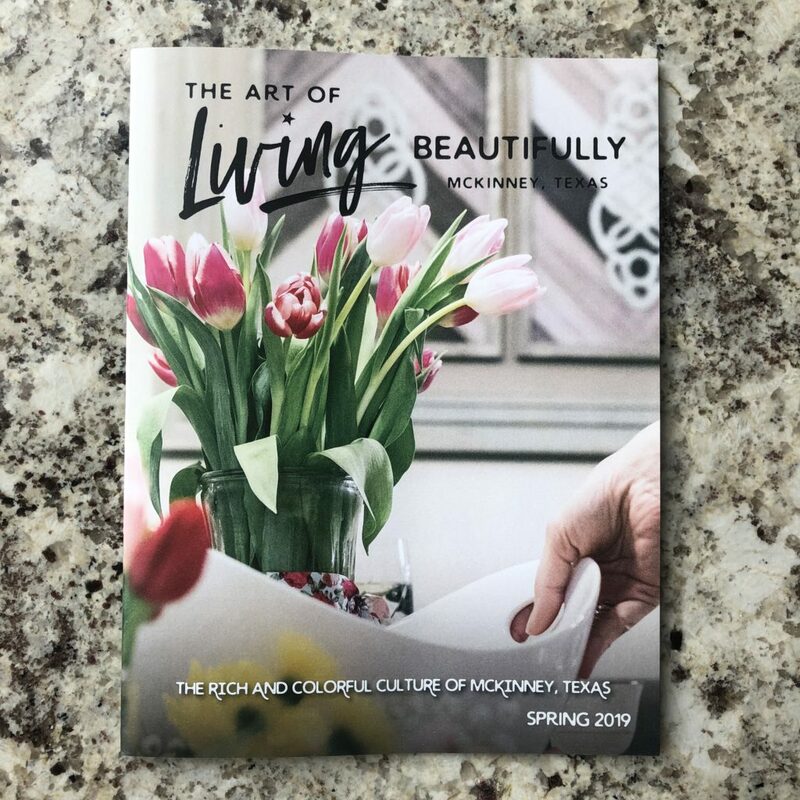 The inside includes beautiful pictures of restaurants, shop owners, venues, and much more here in McKinney. I just thought the whole thing was spectacular and wanted you to see. You can see more about Lauren and her brand The Art of Living Beautifully online. Well done, friend! How crazy ambitious is that?! It’s all sustainable and ethically sourced. At the beginning of the month, she invited me to her fashion show (my first ever!) 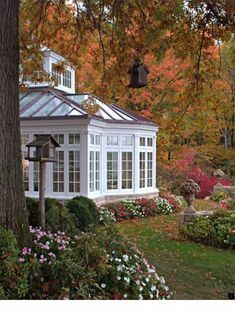 where they showcased the whole BROOKES COLLECTIVE SPRING LINE. I was blown away! …how cute is this kimono?! SO MUCH FUN! 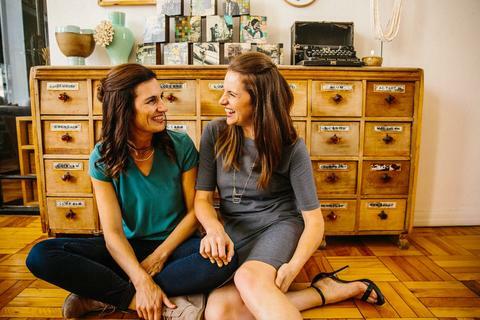 If you want to support these ladies as they launch Brookes Collective, I would be honored. You can read their whole story HERE about why they started this business and then shop HERE. I’m always so blown away by women who really just go for it. I’m super, super, super proud to call both Lauren and Kate friends! I haven’t gushed about it in a while, so it’s time I bring it back out and do it again. …zipped right on up and packed SO NEATLY!!!! After the last post, I told you that I bought three more sets, so now, we have SIX sets total. I feel like that can mean one set (they’re all different colors) for each person or one set for each day. Since they’re all different colors, it’s easy to break it up either way. …I am such a dork and even made a note on my phone that listed each day and what color corresponded along with what was in that color (like day 2 swimsuits, day 2 evening outfits, day 2 pajamas, extra sunscreen, etc). 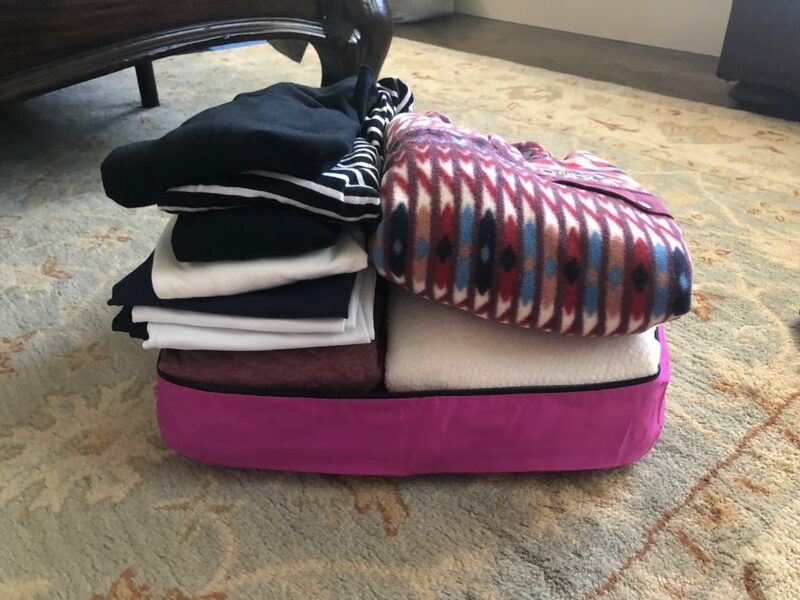 I’m not going to lie…at one point while we were packing, my husband suggested mixing the colors for his own personal use and I might have said “absolutely not” and he might have said “you need to calm down about the packing cubes“. Hahaha! BUT THE SYSTEM WORKS FANTASTIC!!! Look what else I did (oh gosh, I’m so weird! ), I added a post it note inside each one that said “Day 1”, etc. I mean, organized, right?! (Andrew might have been right about me needing to calm down…) So, I just wanted to show you how we once again used them (above), and how they will be a forever favorite of mine. No matter how you slice it, they WORK! You can get mine HERE. And if you missed my other post dedicated to the packing cube, read it HERE. …my friend Brittany told me to buy this rack for drying clothes that can’t go in the actual dryer and it’s AMAZING too!! The best part is that it folds up all nice and small and can be tucked away. This picture isn’t fantastic, but it’s exactly how I was using it the other day. I’m going to be using this A TON during swimsuit season (I don’t dry our swimsuits). I pull it out, place the stuff on (it holds so much!) and then tuck it away. Easy! …my $19 dress is still a fave of mine 🙂 . It comes in so many patterns and fun colors, that I should probably buy a second one. I love it so much! …Kensington’s pick for the month 🙂 . 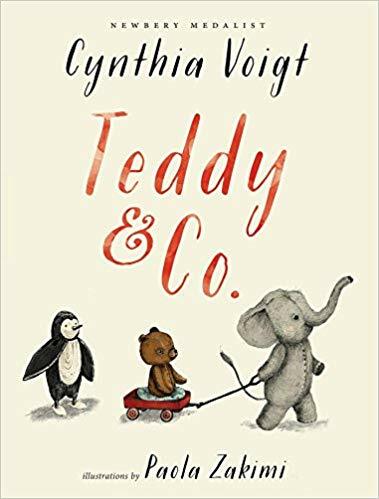 She read Teddy & Co. and wants you to know that she loved it! It’s about stuffed animals that have to adapt and change when new animals come along. As she was describing it to me, it sounded very Toy Story-ish. It also sounded really, really sweet. 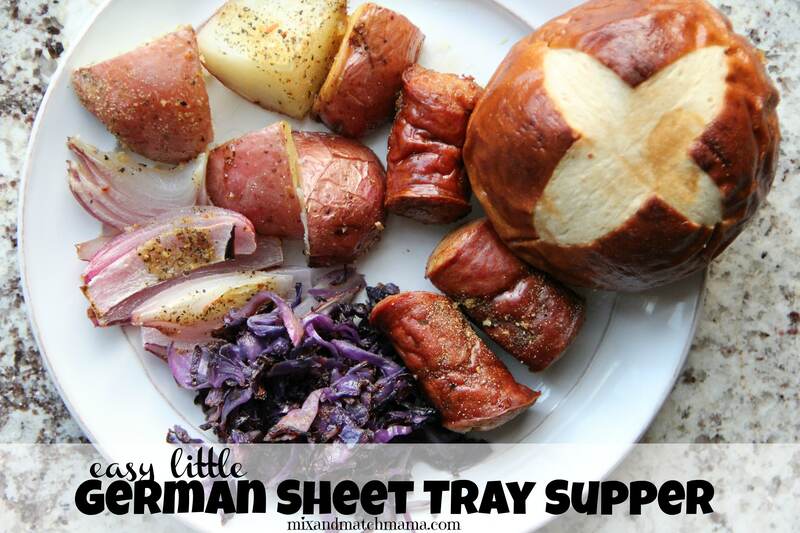 …an easy little German Sheet Tray Supper. Check it out HERE. Okay…I’m off to see Dumbo now! I hope you all have a fantastic weekend!! If you’re looking for me, I’ll either be watching Smith play baseball or Kensington play volleyball 🙂 . See you on Monday! I just bought 6 sets, we are a family of 6 too. They got here right after our last time last week and we don’t go on another trip until May. I’m already thinking in my head how to use them and wondering if it’s too early to start packing?!?! I’m so excited to start using them. I just received the sundress yesterday and leaving for Hawaii tomorrow! I love it! I cannot wait to see Dumbo! Like you, it was never my favorite growing up and the previews for this one always make me tear up (when he trips over his ears and falls and everyone starts laughing at him; my heart hurts.) He is the cutest CGI elephant ever so I cannot wait to see it and cry and cry. My absolute favorite Disney movie growing up was Aladdin! Best music ever. Hahahahahahaha!!! About your packing cubes! I’m so glad you ordered those! And so so proud of Lauren and Kate!! That dress is too cute! Love great finds like that. Same with the drying rack, my sister has the same one and raves about it! I need to jump on board because I dry so many things! 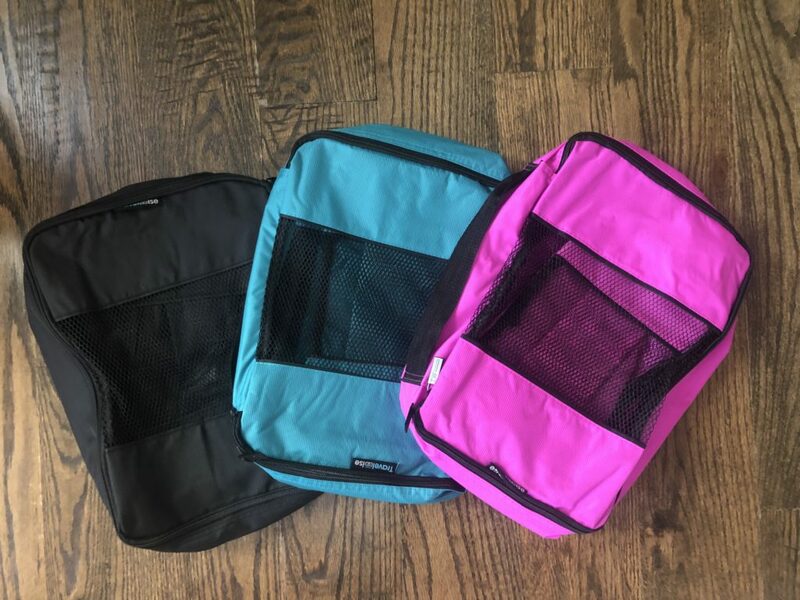 The packing cubes by color and day are genius no matter what Andrew says lol Happy Friday Shay! 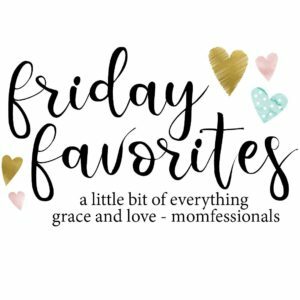 Love your Friday favorites! I do have to admit I’m going to check out the Dumbo movie this weeekend too! Although it’s not my favorite one I love all the live action Disney movies coming out. Favorite Disney movie would be Cinderella though. My favorites are Tangled and Ratatouille!! For some reason Dumbo looks soo sad and depressing to me. My 8 yr old and I tear up every time the trailer comes on tv. Curious how it is..? Im sure its fabulous, its Disney!! What size did you get in the amazon dress? Was debating between 2 sizes so wondered how it ran! Thanks! I bought it in a small! Shay! You’re just adorable! Where are your pants from with the white tank top and kimono?! I love them! Those are J Crew Toothpick Jeans that are my absolute favorite and a million years old! My favorites are the Toy Story movies! I cannot wait to see the last one this June!! I love ALL of the Disney movies though! They are all SO good!! We always go see them at the theatre and I also buy them on Blu Ray/Dvd. My daughters fave is Tangled. My sons is Brother Bear when I ask him. Even though he absolutely loved Buzz and Woody as a young boy. Still have the dolls and I’m keeping them forever! Haha! That drying rack looks neat to have. We have several clothes that have to lay flat to dry. Thanks for sharing! That’s it! I’m ordering those cubes today!! I’ve had my eye on them since you blogged about them awhile back! I have to ask…with the dress being only $19, is it a very nice quality of material? Super thin? I’m always leery about purchasing clothes on Amazon because I bought one top awhile back that is nice, but…. three other tops I recently purchased are absolutely horrible and very cheaply made. I guess that’s why I love Nordstrom…they’re always dependable with great quality. As for my favorite Disney movie, I love so many of them! Fox & the Hound was one our boys loved so I’m partial to Todd and Copper. And I love Tangled and all of the Tinkerbell movies! So, I bought three from Amazon and only kept this one. It honest to goodness felt very similar to the HiSugarplum dresses from Nordstrom. The material was thick enough and the quality was waaaaaay better than one might think you would get for only $19. Great, thank you Shay!!! I’ll be adding that dress to my cart, too!!!! I don’t think I can handle Dumbo! It looks too sad, and I can’t stand it when animals in movies are mistreated! Tangled is my favorite too! I just love the music! I’ve put Kensington’s book recommendation on hold at our library for my 4th grade girl! She is LOVING the Emily Windsnap series. It’s six books, and she’s almost done and sad to be finishing! WOW! Very cool about your friends just going for it! And I can’t get over that $19 Amazon dress! It’s darling! 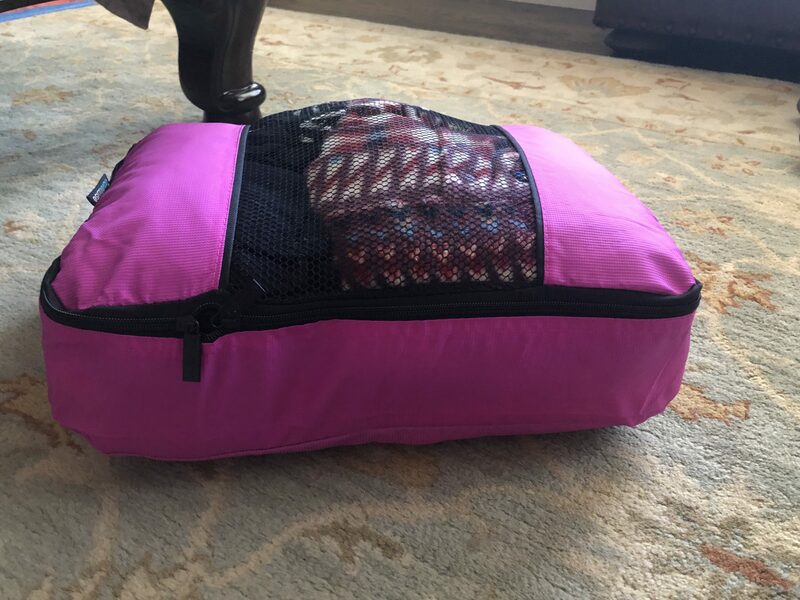 I ordered those packing cubes for our Spring Break Trip, and they were fantastic!!! Have so much fun at Dumbo today! A few months ago I figured I’d try the packing cubes based on your recommendations. I bought two sets and tried them out on a trip to Disney last month. Best. thing. ever. I’ll never go back. They made the trip so much easier. It’s amazing how much drama can be dispensed with when you actually know where the things you packed are located in a suitcase. Love them! RIGHT?!?! Why did it take me so long to get on board?! I am also obsessed with packing cubes! I received a set for Christmas. My husband and I just got back to Michigan from Florida, and the airline completely destroyed my suitcase – so much so that the zipper split! Everything stayed put in the packing cubes and nothing fell out! Spoons or Patina Green!!! Have so much fun!! We also started using packing cubes, total life changer when it comes to traveling. 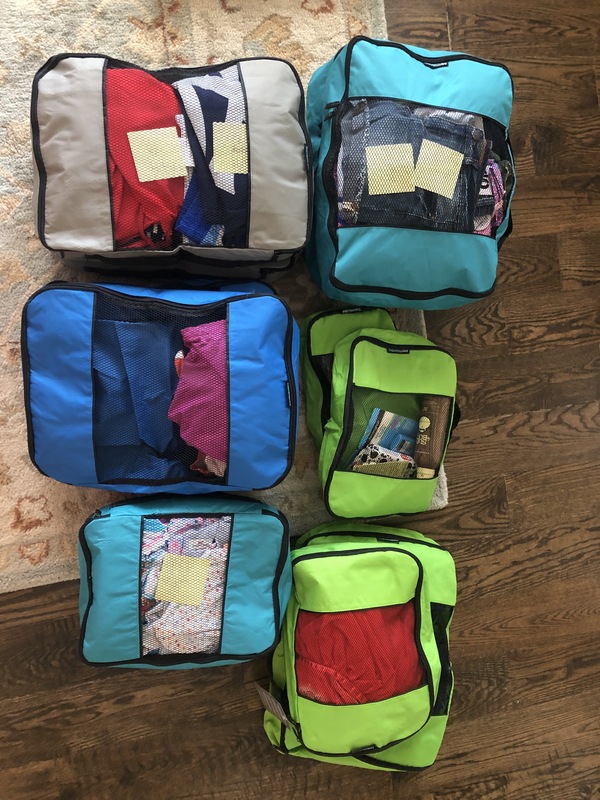 I loved that the kids could take their cubes and unpack/organize their belongings when we would get to our destination and the pack all of their stuff at the end too! Have a great weekend! WIll Smith do a book review a month? 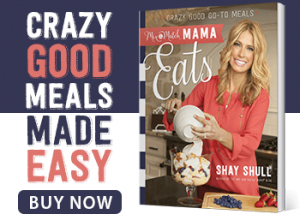 I desperately need new books for my 3 boys! He’s currently reading Where the Red Fern Grows for like the third time. He loves that book!! Have they tried that one yet? Not sure ages of your boys. Gary Paulsen is a good boys writer. I know I babysat for 3 boys and they read them. They are for a little older like maybe 5&6th grade older. They are about wilderness and that kind of stuff. I read a few for my children’s lit class they kept my interest. My nephew who is in elementary, but reads about 4th grade LOVES the American Chiller/Michigan Chiller series by Jonathan Rand. Check out Gordon Korman books as well. My 4th grade teacher read us a few of the Macdonald Hall series with Boots and Bruno. I haven’t read them, but I saw Henry Winkler (I mean I grew up with him as the Fonz) wrote some books and they look fun to read called the Hank Zipzer series. Sorry. I know what it’s like to find books for boys!!! LOL!!! Sorry Shay…. just thought I’d throw my mommy/Auntie & teacher 2 cents in here. LOL!!! Can I make a suggestion? 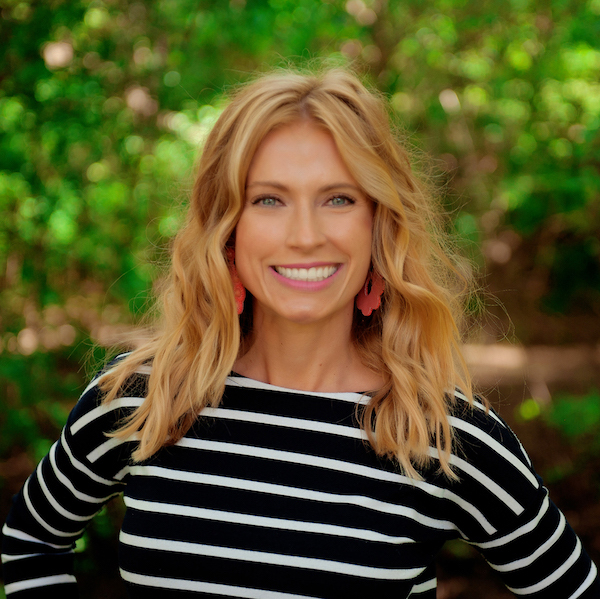 As a mom of 2 boys and a reading teacher? The Hatchet (survival books) series or anything by Gary Paulsen are usually great for boys! YES! Smith has read those too!! Great suggestion! I just cannot with Dumbo. I haven’t watch it since I was a kid but I can still remember sobbing when they took the mama away. And they’re SO mean to him. And I know in the end there’s resolution but it’s just too much for my empath heart. I love the packing cubes and who doesn’t love to be organized!!! Is Coco a Disney movie, because it’s my favourite if it is. A little sad but so good! If it’s not, my favourite is The Little Mermaid! Shay, I said the same thing about the packing cubes why was I so late to the game? They are life changing. I also found them to be sanitary. I just place them in the hotel drawers, so my clothes never touch the surface. A trick I discovered, try packing them standing up. You gain more space. For instances, say your suitcase is upright, stack your cubes across like a set of books. Vertically. I gained so much space in the suitcase! I get out everything I am going to pack (just like I normally do) and then start putting it all in the cubes. On this last trip, I had several cubes in every color left over. So, I think as long as you don’t just add stuff because you can, you’ll be fine. I ordered the packing cubes as soon as you told (and showed) us how much you loved them. I can’t wait to use them when we go on vacations! 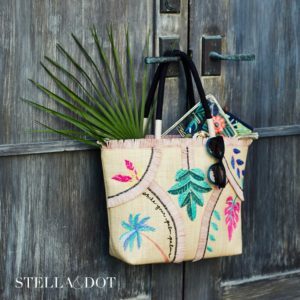 How do you pack your sun hats? I almost always get mine all bent out of shape when I pack them in a suitcase. Thanks! I packed them on top at the very end and then placed some miscellaneous stuff inside so they could keep their shape (I stacked every hat together in one pile). I just told someone the other day that Dumbo was never my favorite movie. My favorites are Lion King and Beauty and the Beast. Have a great weekend! My favorite Disney movie growing up was The Little Mermaid, and perhaps it still is my favorite; but when Frozen came out it definitely gave TLM a run for it’s money. 🙂 I am so excited for my little girl to get into Disney movies someday! So I bought 2 sets of the packing cubes to try before ordering one for everyone. I let a kid try a set and gave my husband 2 to pack some of his things for Spring Break. He LEGIT packed his stuff and then didn’t put the cube into a larger bag. So, here we are going into our resort with his packing cubes on the cart and toiletries in a reusable store bag. So fancy. You are so brave, I don’t think I’m emotionally strong enough to handle Dumbo! 😉 Even the preview gets me choked up. My all time Disney favorite is Beauty and the Beast. I’m a brunette, and book lover, and obsessed with all things French so Belle has my heart! Plus, it was my favorite fairy tale when I was young. Second favorite though is ‘Princess and the Frog!” I love movies about the South and the beautiful southern scenery plus Tiana’s determination got my heart. Hope you enjoy Dumbo! The Glimmer Girls series. They have one called London Art Chase. I think she would love it. My favorite old school Disney movie is Beauty & The Beast. As for newer movies, I love Frozen. We may bump into you at Dumbo today!! And yes, for those packing cubes! Total game changers!! We are going to see Dumbo on Sunday and it wasn’t my favorite either but hoping the live action is better! My favorite disney movie is probably Frozen, mostly for the joy it has brought my daughter and I just love the music ;)! Love packing cubes also! I have found that the smallest ones in each color set were hard to use as my youngest is 8 and my husband and oldest son are over 6 feet tall (need more of the large sizes!). I use the smallest cubes for my bras, my sons’ baseball caps, and for our last Disney trip– my Mickey ear head bands. Favorite Disney movie- Beauty and the Beast. I love that Kimono and may need to buy it! My favorite Disney loving growing up was The Little Mermaid, but now I’d have to say I love the Toy Story series! I’m so excited for the 4th one to come out this summer and take my kids! 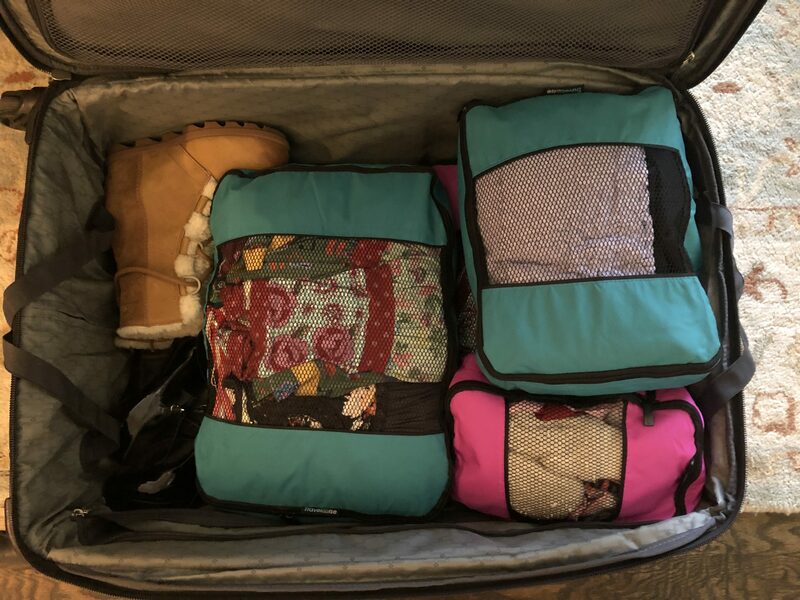 I haven’t tried packing cubes yet, but this year I did two things different that have helped with packing. 1) I save my packing list from my trip in the suitcase for the next trip. If I was missing anything I add it to the list when I get home. This has really helped packing stress. I also add a list on top of the suitcase of things to add right before leaving since I often pack at night & leave after work the next day. 2) Rolling clothing instead of folding. This saves space and helps clothes not wrinkle. Shay, do you recommend a suitcase over another? Not at this point. I haven’t found one that I just “love”. I started using packing cubes many years ago and never looked back! They’ve helped me pack so much… dunno what I’d do without them! I am absolutely giddy! My packing cubes are going on their first trip this Sunday. I started packing cuz I could not wait! Eight days in a carry on! No problem! I texted a friend that is going with us on this trip a picture of a small cube and then a list of what was packed in there. She ordered cubes stat! Thank you Shay! A) Packing cubes are the BEST. I break mine out every time I travel. I leave on Sunday for Los Angeles for work and I know mine will be used again. B) Favorite Disney movie? Hands down, Sleeping Beauty. It always has been and probably always will be. I love the music and love that Disney used the Tchaikovsky ballet as the background score. LOVE packing cubes. Ours have been all over the world. When we stayed in a hotel in Auckland, NZ, there were no dressers, but living out of the cubes made that bearable. I cried in Bambi when they said, “your mother can’t be with you anymore”, so “no” to Dumbo for me. 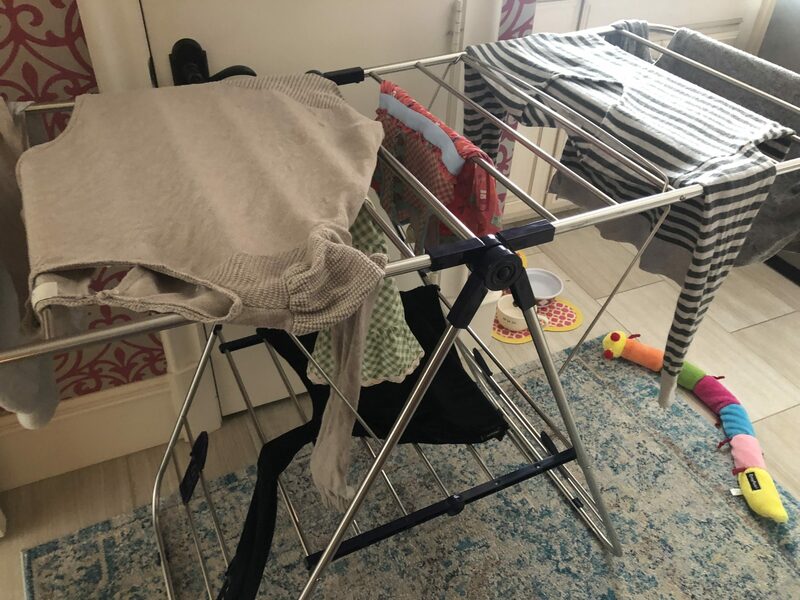 And the drying rack is a game changer for my daughter who lives in Cambodia. She doesn’t have a dryer, so EVERYTHING is dried on a rack with a fan blowing on it and it’s great! Congrats to your friends with their new business adventures! Not a big fan of Dumbo either! I prefer Tangled, Beauty and the Beast or Little Mermaid – love all the music! 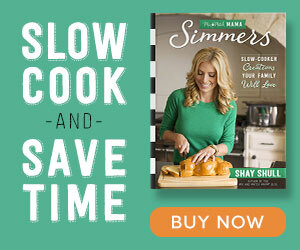 Book suggestion: Driven from Melissa Stephenson – it is a memoir but it is an easy read and so far goes fast. Robin Hood is my favorite Disney movie. It’s older and lesser known, but was always my fave. When we visited Disney World a few years ago we happened to be in the right place at the right time to see those characters. I think I was more excited about the photo than my kids were! Dumbo and Bambi are the worst Disney movies…too sad. I can’t take it. Favorite Disney movie is Cinderella. Ha! Can we add Pinocchio into that lineup too? I need to get those packing cubes. Don’t know why I haven’t yet. We travel a lot. As for Disney movies, my family are Disney fanatics. I would say Aladdin is at the top. We have seen the movie, the show on a Disney Cruise and on Broadway. Now they are coming out with the live action of that as well. I love Tangled and Maleficent as well. Dumbo is too sad, I can’t take my kids LOL. I need those packing cubes! We just went to Disney and the suitcases were a chaotic mess from everyone digging in them. 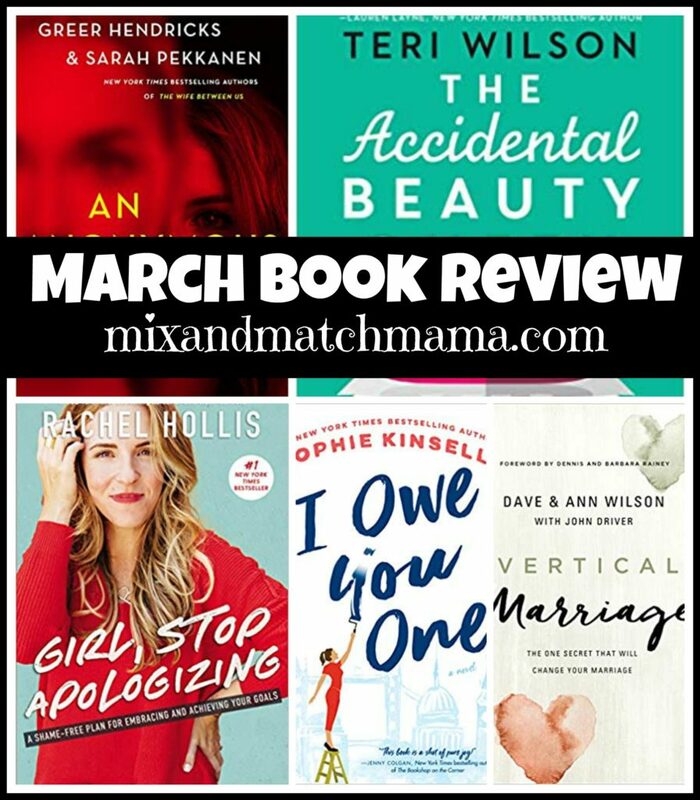 I was actually a little disappointed Kensington didn’t have a book in the review this time! I’m checking that out now. And speaking of SAD – hoe has Smith read Where the Red Fern Grows multiple times? Ugh. That book kills me. Fav Disney movie is a tie – Mary Poppins and Lion King. Hahahaha! I’m going to keep his copy forever. You should see it…it’s all worn and weathered. The kid loves that book 🙂 . I’d have to say my favorite Disney animated show is a tie between Aladdin and The Little Mermaid… though I do enjoy almost all of them. I am a Disney girl at heart. I need some help. 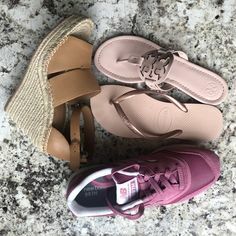 Going next week to DC for spring break and need super comfy shoes that also look cute and go with anything. Suggestions. I would say Sketchers Go Walks because they’re the comfiest! We have! I want to go myself because I hear such wonderful things! We’d love to help you too! Thank you for introducing me to packing cubes! I just sent my oldest (17yo boy) to Ireland for spring break with his band program. He had VERY limited space so we had to be very smart about packing. They went to three different cities and I made one cube (also labeled with post it notes inside!) for each city so he could keep straight what he was supposed to wear, when – and he wasn’t mixing clean and dirty clothes in the suitcase when he moved from city to city. He’s getting back tonight so I can’t wait to hear how it worked!! Thanks again! That’s a great gift idea, Robin!!! I need to remember that myself! I looked at the packing cubes and see that each color/set comes with 5 cubes/pieces. How many cubes fit into a standard suitcase? Is it made so that each set of 5 cubes fills up and fits in one suitcase? If you have 6 sets did you pack 30 cubes? How many suitcases did you bring? 6? Sorry to get so technical but really interested in purchasing these and wondering how it all works! Oh goodness, no! I didn’t count, but (depending on the size you use), you could get like 15-20 cubes in one suitcase. Much we needed them until we started taking adventures in my Jeep! Now we need ALL the space. 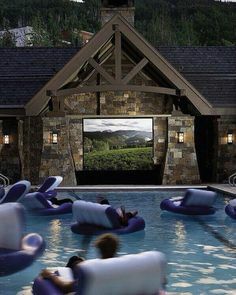 These would really help! Also, The Little Mermaid is THE best Disney Movie EVER! Yes, packing cubes are a game changer. I use them for long trips too. Congrats to your friends and their business endeavors. I’m about to go check out that white top. So cute! Hope you are enjoying the weekend! I have searched and searched and cannot find it. I would love to see a tour of your closet; how it’s set up, etc. have you already done this & it’s posted somewhere? It’s gorgeous! What suitcases do you use? I’m already on the packing cube train but hate my current Samsonite. The wheels that are supposed to be so great do not work the proper way nor does the handle come up high enough. I don’t have one yet that I just love…i’m a little annoyed with all the ones I currently have. Where is your white tank from that you’re wearing under the kimono? Looking to buy some basics to wear under things! Thanks! I honestly do not know??? It’s tag-less! Urg. So many fun things, as always! Where are your grey wedge sneakers from? Love them! I loooove a post it note! Kensington would love the Doll People Series by Ann M Martin, author of the Babysitter’s Club. My twins loved the Doll People. I need your grey shoes! Where are they from? 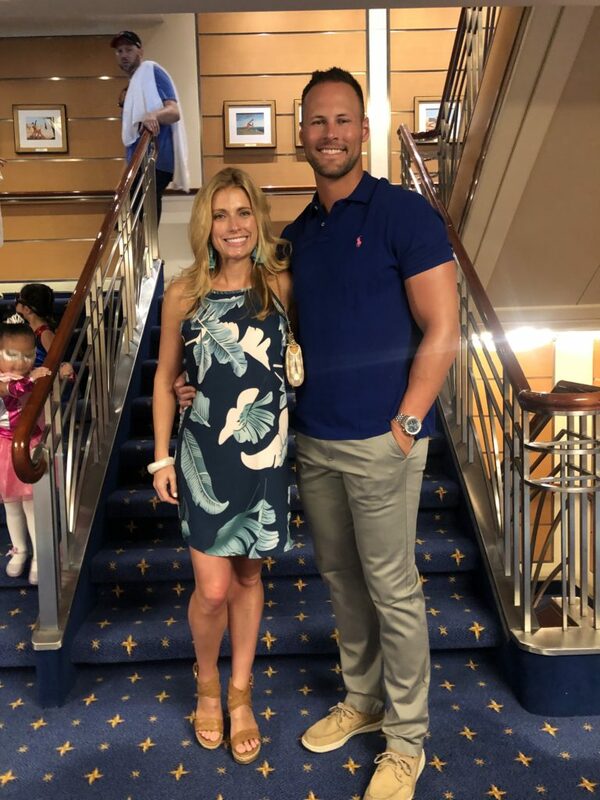 I think you already answered this, but I can’t find it again in the comments on all the posts since your cruise. Which natural deodorant did you wear and did it hold up to the heat and humidity? I brought the Primally Pure with me and loved it! I think it’s going to be my #1 fave! Totally random question but I love the color of your apple watch band. It looks pink but I can’t find a pink on the apple site. Can you share where you found it? Maybe it’s Nectarine or Product Red but looks more pink on? Would love to find a new band color for the spring/summer months. Thanks! I just went to the apple site to find it for you, but they changed all of the colors. It wasn’t called watermelon…but it was called something kind of like that. I don’t see it any more. Sorry! We leave on Sunday to go get our sweet girl from India! Yay adoption. 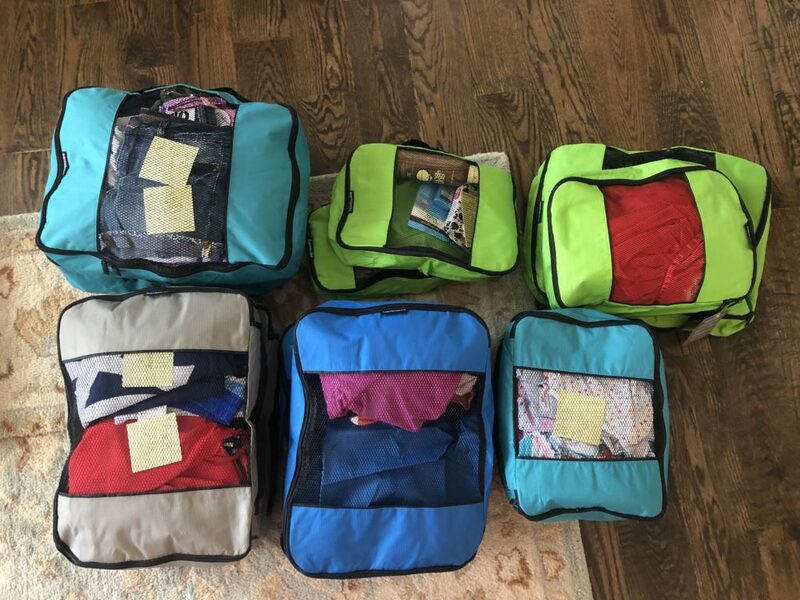 I read this post Friday and totally repacked all of our packing cubes by day instead of persom. My husband thought i was nuts but it worked out so well!! !